Overall, the rate of crime has dropped nationally in recent years. Despite this decline, cities and communities face localized increases in violence and some property crimes. According to recent national surveys, the public continues to view crime as a serious problem. Fear of crime affects decisions residents make about where to go and what to do in their communities and may affect their comfort about working with law enforcement on community safety initiatives. Some studies suggest that high numbers of mortgage foreclosures and recent downturns in the economy will affect increases in crime rates. Local law enforcement needs assistance to confront these crime challenges effectively. Prevention-focused community-law enforcement partnerships are the most effective tool we have to prevent crime and address the fear of crime. A new Bureau of Justice Assistance-supported initiative of the National Sheriffs' Association and the National Crime Prevention Council, Celebrate Safe Communities (CSC) is designed to help local communities highlight the importance of residents and law enforcement working together to keep our communities safe places to live, learn, work, and play. CSC will launch nationally and with local celebrations October 2-4, 2008 as part of the kick-off to recognition of October as Crime Prevention Month. To support local communities planning CSC activities, the national partners have established an online registration and resource center at www.celebratesafecommunities.org. At this site, local law enforcement agencies and their community partners can register their activities, check out what other communities are planning, get linked to a collection of crime prevention tools and resources tailored to help address their priority concerns, and learn about awards to recognize extraordinary CSC sites' accomplishments. A Frequently Asked Questions (FAQ) sheet on CSC is also posted to the site. June 23 @2:00 p.m. EDT – CSC 101: Get Involved Now! What is Celebrate Safe Communities? Celebrate Safe Communities (CSC) is a U.S. Department of Justice-supported initiative designed to help spotlight communities' crime prevention efforts, enhance public awareness of vital crime prevention and safety messages, and recruit year-round support for ongoing prevention activities that help keep neighborhoods safe from crime. This initiative will help local communities organize safety-focused events. Local CSC activities held in October to coincide with Crime Prevention Month will help Americans of all ages recognize that a safer community is no accident and that crime prevention is everyone's business every day of the year. What activities are considered part of Celebrate Safe Communities? The decision about local CSC activities is up to the local community and will vary according to local needs and resources. Many jurisdictions will choose to organize a community-wide safety education fair and celebratory event on a weekend day or evening. The National Sheriffs' Association (NSA) and the National Crime Prevention Council (NCPC), the two CSC partners, suggest localities also consider a range of activities involving participants of different ages, including such events as a school assembly or contest, a park clean up or other community service project, a Neighborhood Watch membership recruitment drive, an awards program to recognize outstanding volunteers, or an open house at the law enforcement agency or fire house. In addition to hosting events in the community, local CSC partners can also ask the media to help promote crime prevention and safety messages and distribute tips to residents of all ages. You can get involved by planning a local event! Visit www.celebratesafecommunities.org, to learn more about CSC, find help to get started, and to register local initiatives. Who should organize a local CSC event? Law enforcement plays a vital role in designing and implementing effective local initiatives. However, law enforcement cannot do it alone. City officials, civic organizations, community volunteers, neighborhood associations, business owners, faith-based congregations, and youth-focused organizations should each be recruited to help support local events and ongoing crime prevention and related safety programs. How can national CSC partners help my local CSC initiative? The National Sheriffs' Association and the National Crime Prevention Council are partnering with the Department of Justice to produce and provide local communities with CSC event planning advice, tools for educating residents of all ages, a guide on recruiting and retaining community safety volunteers, a kit to help build awareness of CSC through the local news media, an array of promotional ideas, and an opportunity to apply for an award recognizing outstanding local CSC initiatives. To receive assistance through this initiative, your community must register and provide a brief description of planned activities. Why should I register my event? Registered local CSC initiatives get the opportunity to share their community's efforts, locate tips to help plan successful local activities, and sign up for updates as promotional tips, tools, and other resources become available. Registered CSC initiatives will also be invited to participate in free webinars designed to help organize and promote local CSC activities, download guides to recruiting volunteers, and link to a kit of downloadable media outreach tools. Only registered CSC initiatives are eligible to apply for the annual award recognizing outstanding CSC initiatives. Basic information on registered local CSC initiatives will be posted online, providing an opportunity to demonstrate your city or town's strong commitment to supporting community safety and crime prevention. Who should register an event? Most CSC initiatives will be registered by a law enforcement agency coordinating local activities. Community organizations working with local law enforcement agencies can also register local initiatives. 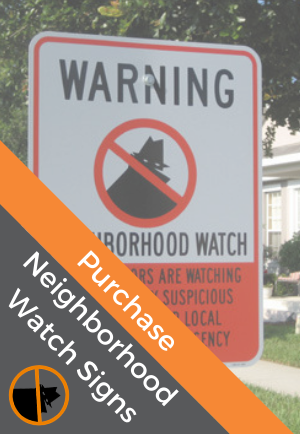 These may include Neighborhood Watch groups, schools, military installations, local government agencies, youth-serving organizations, faith-based congregations, businesses, and civic organizations. Community partners registering CSC initiatives will be asked to provide contact information for their local law enforcement agency partner. The national CSC partners have posted on www.celebratesafecommunities.org an online registration form and detailed information telling how communities can get involved in Celebrate Safe Communities celebrations. Check it out! What will set this celebration apart from other national celebrations? All efforts that recognize the importance of law enforcement-community collaboration are helpful. CSC will be promoted nationwide by two law enforcement-related organizations (the National Sheriffs' Association and the National Crime Prevention Council). CSC will harness the communication power of McGruff the Crime Dog® to highlight Crime Prevention Month, demonstrate how local law enforcement works with other community safety-related agencies (fire, emergency management, etc. 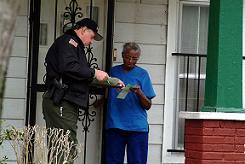 ), and educate community partners about how they can watch out and help out in the fight against crime. We've organized block parties and community safety fairs in the past. How is this different? CSC provides your community an opportunity to continue to sponsor these important community outreach events in a way that helps promote a year round focus on resident-law enforcement partnerships that help create safer places to live, learn, work, and play. Through CSC, participants at block parties can be recruited to join Neighborhood Watch groups, teens from the youth center can be mobilized for a graffiti paint-out project, businesses can join together to support a street beautification project, faith-based leaders can talk about community and domestic violence prevention, and parents at the education fair can attend a presentation on keeping children safe on the Internet. CSC helps communities define prevention-focused approaches to public safety as the way their community does business all year. What CSC promotional materials will be available? NSA and NCPC are designing materials and will post information about the items and how to order them on www.ncpc.org . The CSC-branded items will include stickers, trinkets, and other materials local CSC organizers can use to thank, educate, unify, and motivate participants in local CSC events. Why did NSA and NCPC choose October for the event? Crime Prevention Month in October is a natural time to promote individual and collective action to reduce crime and enhance the safety of all of our communities. Will there be awards for outstanding local CSC events? Yes – stay tuned to www.celebratesafecommunities.org for more information. With NCPC support, NSA will develop a process for recognizing CSC initiatives that represent exemplary demonstrations of prevention-focused law enforcement-community partnerships. NSA and NCPC will also post information about the recognition program on their websites and promote the efforts of winners at the annual NSA conference (held in June each year) and through outreach to the media. For more information and updates on these and other resources from the CSC partners, visit www.celebratesafecommunities.org . Remember, less crime is no accident; it takes you watching out and helping out to keep your community safe!